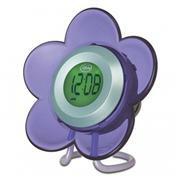 Rise and shine with this purple and grey alarm clock radio from Disney. 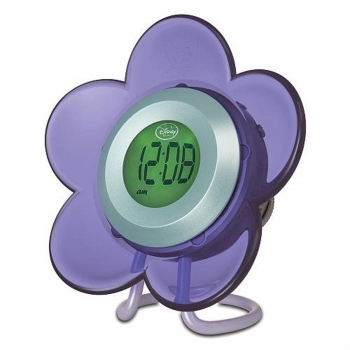 The flower design is sure to brighten your child's day, and the single alarm with snooze function is just the thing for getting her up for school. Plus, she can tune the AM/FM radio to her favorite radio station and rock out in the room.